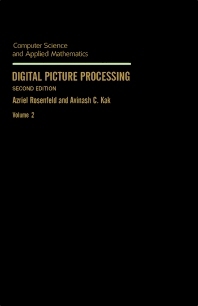 Computer Science and Applied Mathematics: Digital Picture Processing, Second Edition, Volume 2 focuses on picture or image processing, which is concerned with the manipulation and analysis of pictures by computer. This book emphasizes the three major subareas in picture processing—digitization and compression; enhancement, restoration, and reconstruction; and matching, description, and recognition. This volume is organized into four chapters. Chapter 9 discusses registration and matching, while Chapter 10 considers segmentation into parts. The representation of parts and geometric property measurement is elaborated in Chapter 11. The last chapter is devoted to the non-geometric properties, picture descriptions, and models for classes of pictures. This publication is suitable for specialists and professionals working in the field of digital picture processing.